Over spring break, I spent a couple of days in Mexico City with my parents. Although they were excited to learn about the history and spend time in museums, my priority was the food. I had four meals to allot and I intended to use them well. Our first dinner, we went to Fonda Fina. The chef at Fonda Fina had a creative take on classic Mexican dishes. My favorites include their squash blossom arugula salad and three milk rice pudding. Everything was delicious and the presentation was especially attractive for the squash blossom salad. The next day we were at the Saturday market, which has many local crafts, and we went to the San Angel Inn for lunch. It was quite near to the market and had a great outdoor courtyard for eating. We had some of the best beef tacos I tried the whole trip. We also ordered a cheese dip, however it was covered in some sort of insect, so I quickly lost interest in it. That night for dinner was by far my favorite meal. Dulce Patria, named one of the top 50 restaurants in the world, was recently opened by Martha Ortiz. She is one of Latin America’s best chefs and brings a new creativity to traditional Mexican food. All of the food was vibrant and aesthetically pleasing. 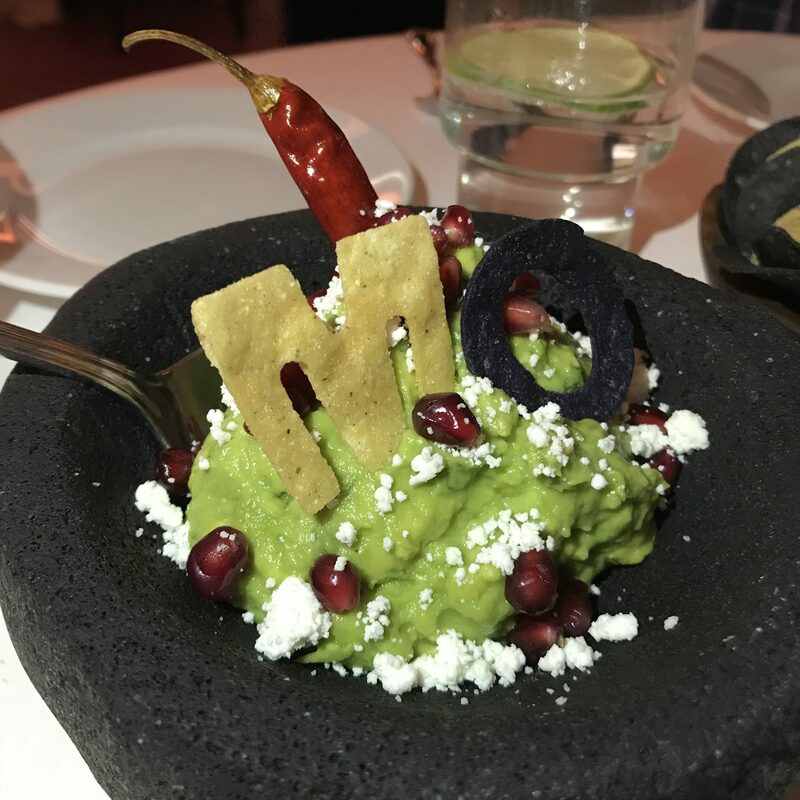 The guacamole came with the initials of the chef in it, which was a fun touch. We tried multicolored quesadillas, which all had different fillings, such as different types of cheese, beef and chicken. 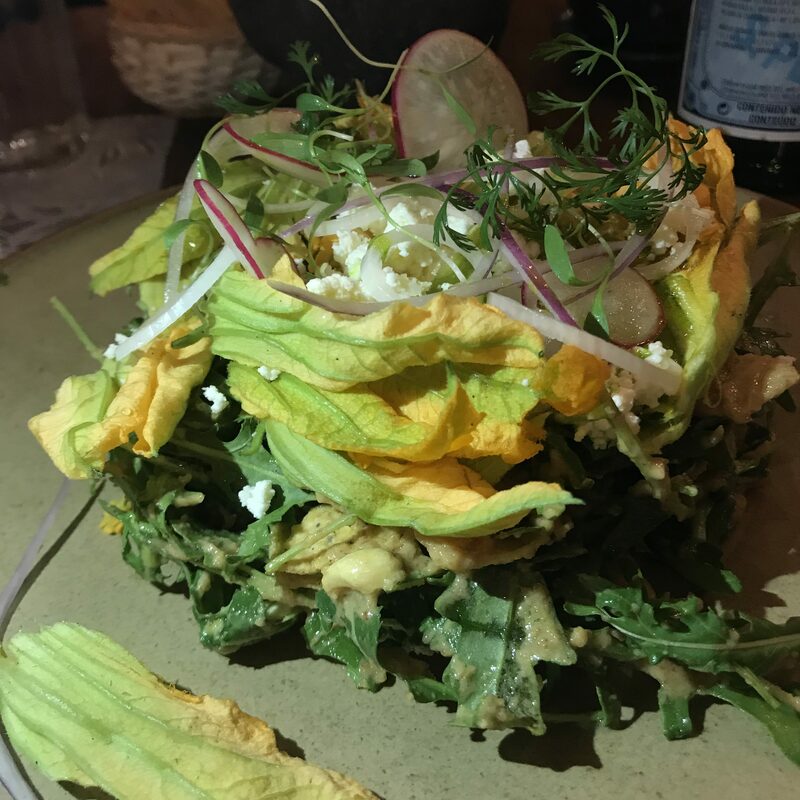 We tried another squash blossom salad, which I have to say was not as good as the one we tried on the first night, but had a better presentation. 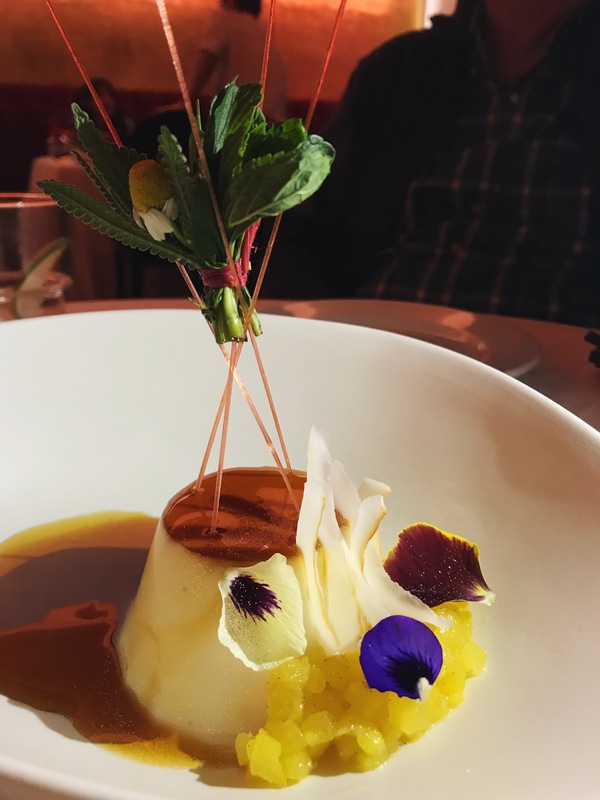 For dessert, we tried a coconut flan with fresh pineapple. 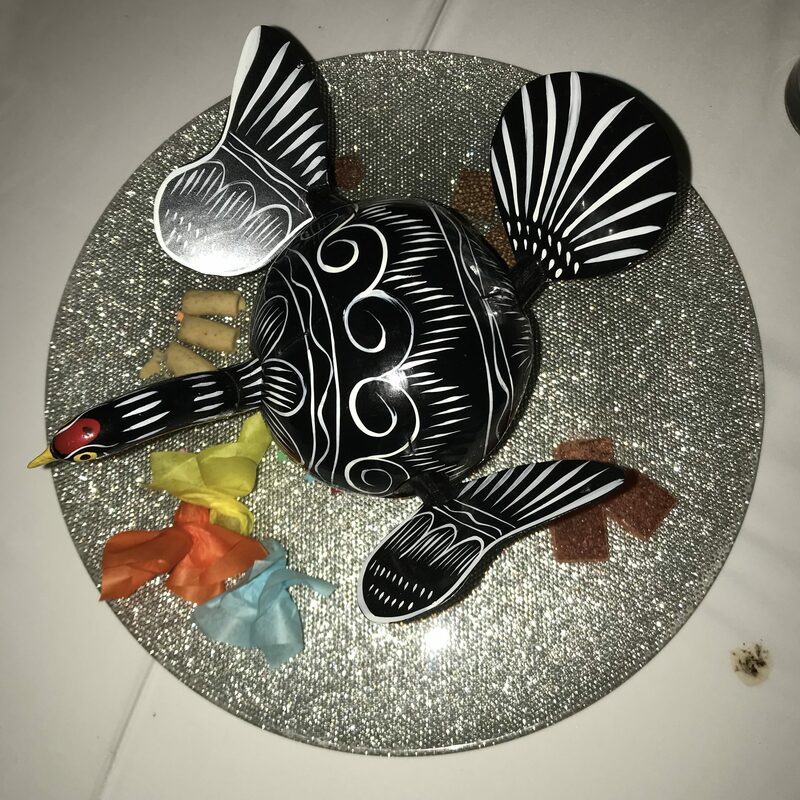 At the end of the meal they brought out a fun platter with some chocolates and candy … and a chicken ceramic. 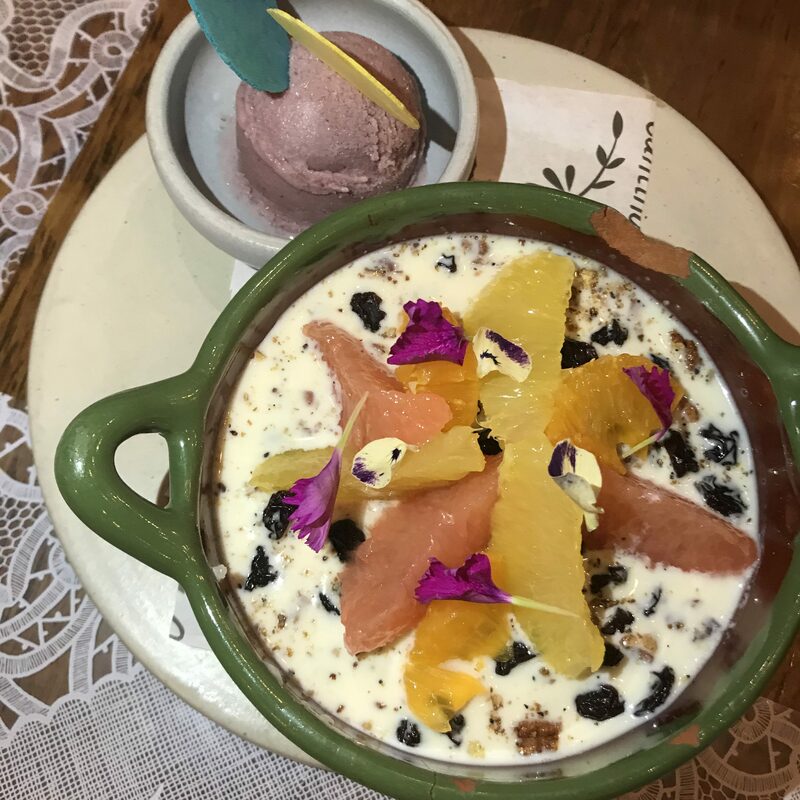 For our final dinner in Mexico City, we went to Contramar. Contramar is known for their tuna tostadas, which definitely lived up to their hype. 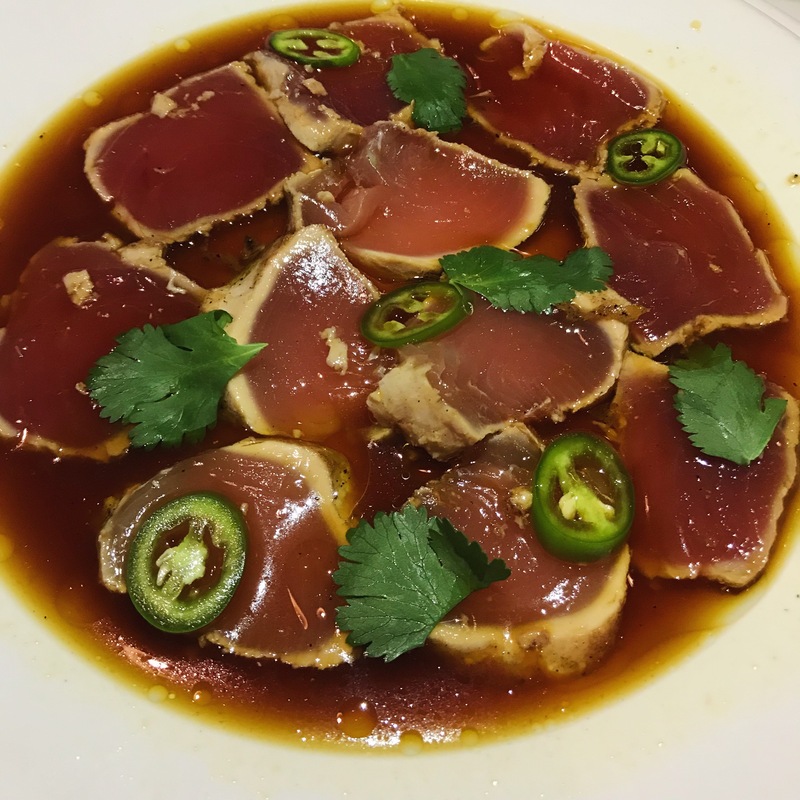 We also tried the tuna sashimi, which was tasted incredibly fresh. 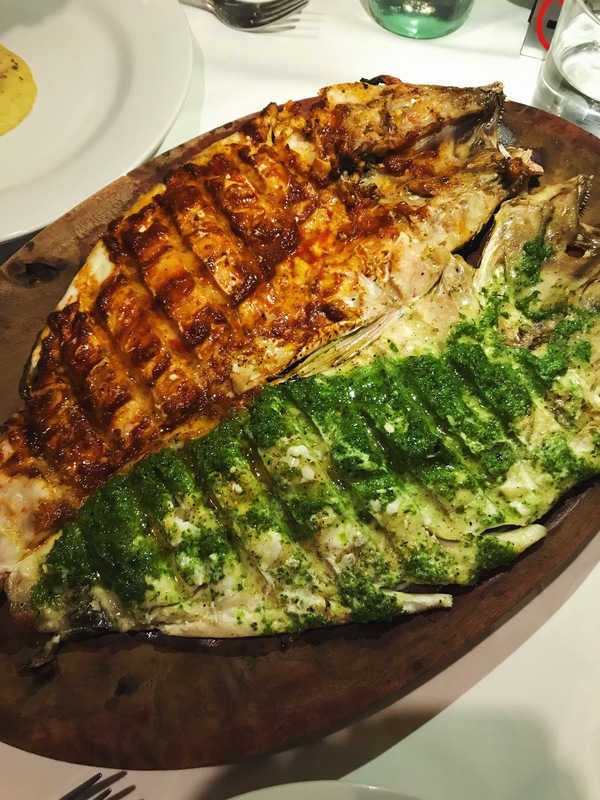 We shared a full fish, which was half covered in a red chile sauce and half in a green parsley sauce. The combination of the two together was surprisingly good. 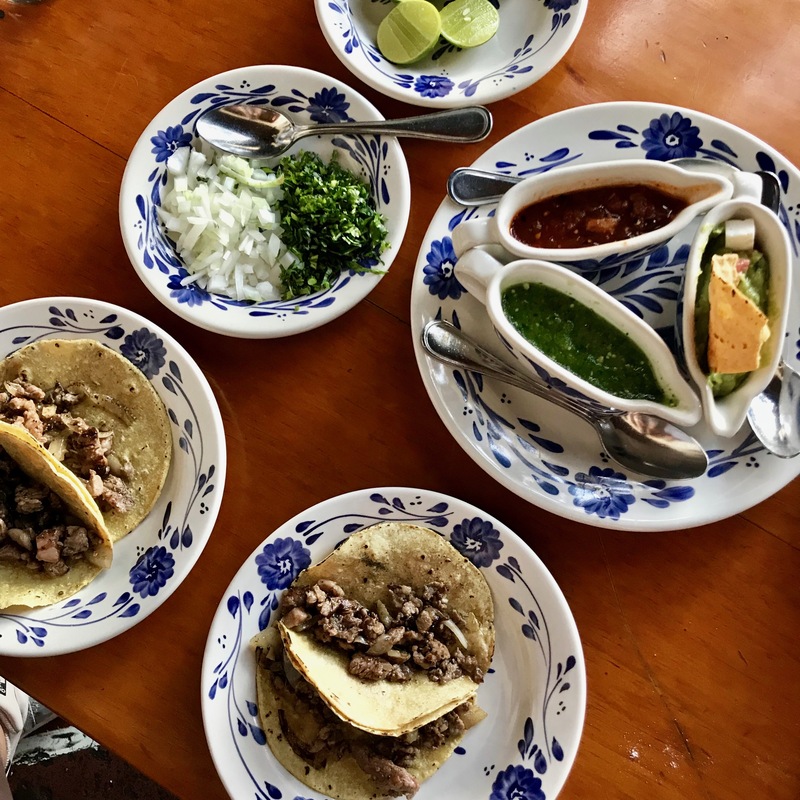 Having only spent 60 hours in Mexico City, I definitely feel as though I did a pretty thorough job with the food scene.